This 0.6ltr barrel panel tankard is made of lead crystal and has a solid base with a diamond cut design. 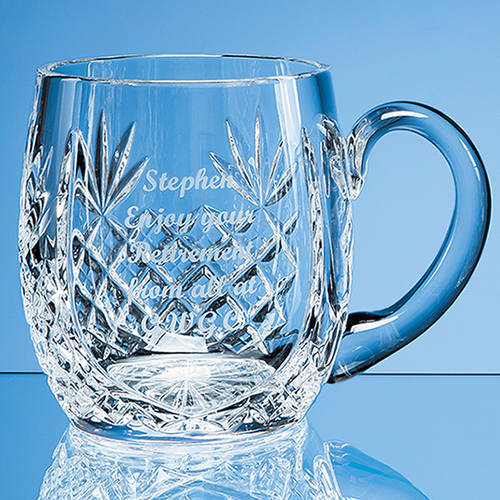 There is a large engraving area allowing you to personalise the tankard with any logo, crest or wording. It can also be decorated with an etch effect, colour or silver paint and would make a great gift that is sure to be treasured and displayed at home or in the office.